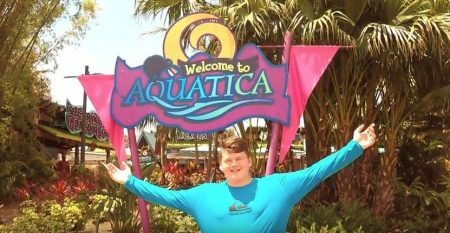 Aquatica Family Video Review – Check out our Family Video Review of Aquatica and their new attraction, Ray Rush! 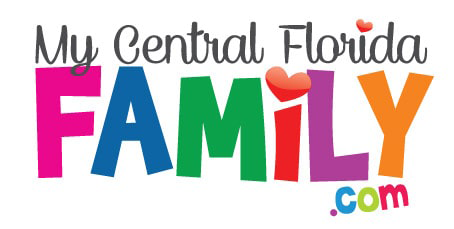 Subscribe to our YouTube Channel to receive notifications for new Family Video Reviews. Thank you for your likes and comments! In May 2018, we ventured to Aquatica to check out the grand opening of Ray Rush, Aquatica’s newest slide. We ended up spending the day at the park, enjoying slides, a wave pool, a lazy river and a slightly more rapid river. For this particular visit, it was just my oldest and myself, but we had a fun-filled day together. It was a really great way to connect through laughter, fun and, of course, water! Aquatica has something for everyone. From an incredible kids’ area with kid sized slides, water falls, stairs and more, my youngest, who has been here before, loves spending time in this particular area. Be sure to check out WalkAbout Waters with your youngest kiddos. For the big kids, some adrenaline rides like Ihu’s Breakaway Falls and Dolphin Plunge will give them the thrills that they seek. For the rest of the family, there are more mainstream experiences that still offer smiles and excitement on various slides, rivers and pools throughout the park. Loggerhead Lane, while it can be very busy later in the day, and Roa’s Rapids are just my speed! 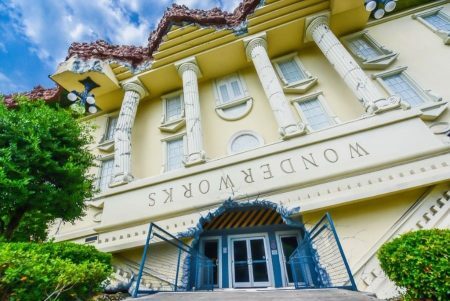 Click here for a complete list of slides and attractions. Be sure, on your next visit, to check out Ray Rush. A family attraction, for all of those 42 inches and above, it’s a unique “thrill” slide that your family enjoy. In fact, my son went on it twice, he enjoyed it so much! Check out our POV Video from our visit to Ray Rush at the end of our Family Video Review below. We highly recommend Aquatica for families in Central Florida, as it’s one of our favorite water parks in the area! Watch for specials and promos leading up to the summer season each year! We’ve seen some great deals come through and for families on or off a tight budget, they’re still great opportunities to create fun summer memories at the water parks! Click here for more information on Aquatica! 1. Wear swim shoes or bring flip flops as the sand and cement can get hot on your feet. There are cubbies for your shoes at the rivers and attractions around the park. 2. Bring your sun block and be sure to reapply throughout the day. 3. Get on the slides early and save the rivers and wave pool for later in the day when it’s more crowded. 4. You’re allowed to bring a small cooler, water and individually wrapped snacks. The kids will appreciate them! 5. Get a waterproof holder/case for your phone so you can capture pictures and video in the water. Disclaimer: This Aquatica Family Video Review is based on the experience of My Central Florida and should be taken as opinion of that experience. Details are subject to change over time so be sure to verify details from our accounts.